On March 17th, 2016, our buddy Jupiter took one for the team and absorbed what is believed to be a comet or an asteroid. Traditional thought that Jupiter acts as sort of protector was first put forward by scientist George Wetherill in 1941. Wetherill showed that the planet’s enormous mass – more than 300 times that of the Earth – is enough to catapult comets that might hit Earth, like a slingshot, out of the Solar System. Other astronomers have postulated that Jupiter’s gravitational pull would thin the crowd of dangerous asteroids and other objects, making Earth less impact prone. Other research has suggested that, in the past, changes in Jupiter’s orbit might have actually increased the number of objects on a collision course with earth. Recently, some computer models have suggested a solar system without the gas giant would be just as safe, with some indicators that having something with the mass of Jupiter might increase the possibility of attracting a chunk of space debris big enough to wipe out the Earth. But for today… it looks like Jupiter sucked up one more rock that might have had our name on it. Keep in mind, Jupiter is MUCH bigger than the Earth. 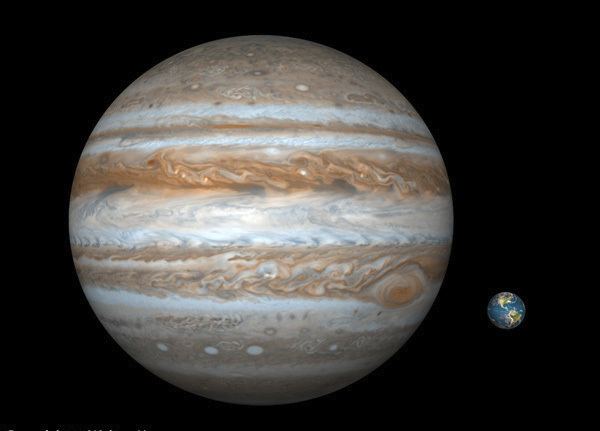 You could fit 1,300 Earths inside Jupiter. This isn’t the first time we’ve witnessed Jupiter absorbing something that would be a life-exterminating event if it hit earth. In 1994, fragments of the comet Shoemaker-Levy 9 slammed into Jupiter as astronomers and stargazers watched in awe through their telescopes on Earth. The impacts left great scars that were visible on the Jupiter for months through even a small telescope. 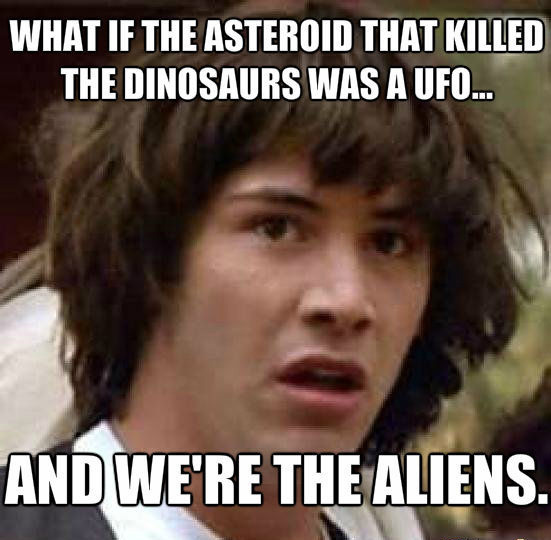 No one has speculated the origin of where these asteroids are coming from. But I’m just going to say what everybody’s thinking. They are coming from Klendathu.